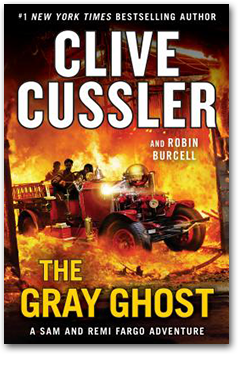 crown jewels in the Cussler empire." Robin Burcell has worked as a cop, hostage negotiator, and as an FBI-trained forensic artist. She is the award-winning author of the Kate Gillespie police procedural series, the Sydney Fitzpatrick thriller series, a Streets of San Francisco novel, and is now writing thrillers with Clive Cussler. Read more about her here. Site design © & maintenance by xuni.com. All content © 2016-2019, Robin Burcell.